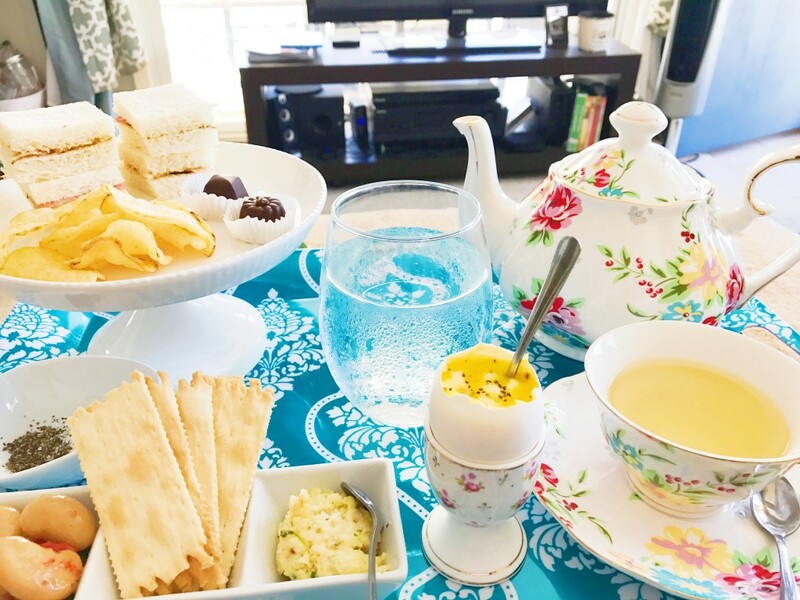 Afternoon Tea is the popular these days for girlfriends to get together and catch up. It’s the best way to take the time to reconnect with friends or a friend thru conversation, get dressed up, and feel special. 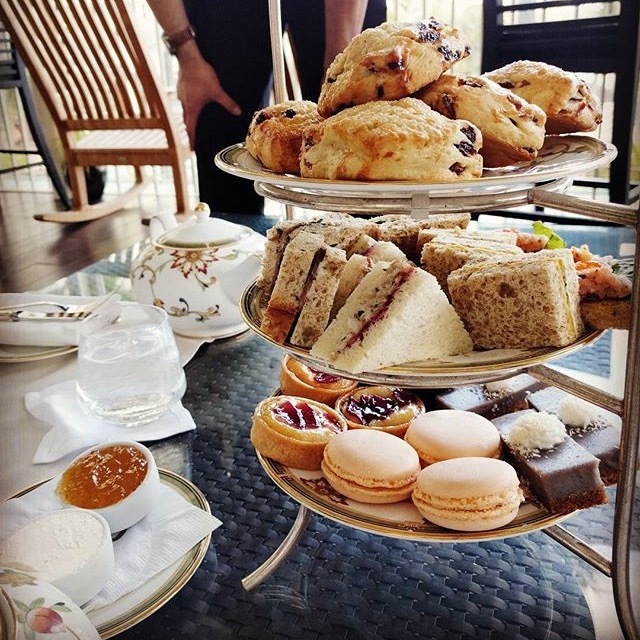 It’s special because the treats are served beautifully and usually in beautiful teacups and teapots, it really is the overall experience. Just like I did with my friends at The Kahala Resort. Their afternoon tea at The Veranda is gorgeous because of the view when your seated on the lanai. Tea time has become the thing to do for special occasions, like baby shower’s and birthday’s. How many times do you see a large party of girls with gifts in hand at an afternoon tea? Even on menus there are notes for parties of 6 or more to arrive on time to be seated. Personally, I enjoy tea time when I am home and get the sudden urge, to experience that feeling. Lately it seems to be more frequently. There’s something to be said about recreating that feeling I get when I meet my friends out for tea. Having beautiful tableware, having my sweet and savory treats presented as if was at a restaurant. I recreat that special feeling I get when I am on my way to tea with friends. Why not do the same at with my best friend….myself. They say in personal development to focus on your feelings and do what makes you feel good. That’s exactly what I’m doing, when I am setting up my tray and my treats. I feel happy and giddy. It’s the way I am and if you’re anything like me you’ll get it. 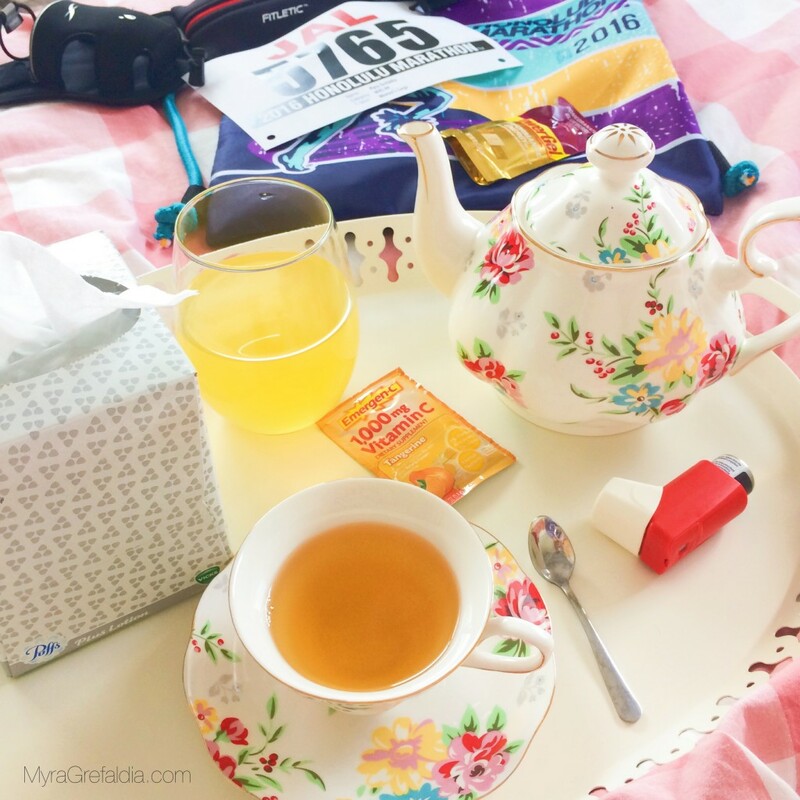 I was supposed to do The Honolulu Marathon 2016 but I woke up feeling miserable. If I’m physically able when I’m sick I will still make tea and create a pretty setting so I can feel special and cared for. I’ve learned that it’s my way of continuing to honor myself. This process has almost become ceremonial when I prepare my tray. It’s a constant reminder to be good to myself. It’s easy to lose site of taking care of numero uno, me. As long as I can make my time special, I will make it happen even without the cucumber sandwiches and the scones. 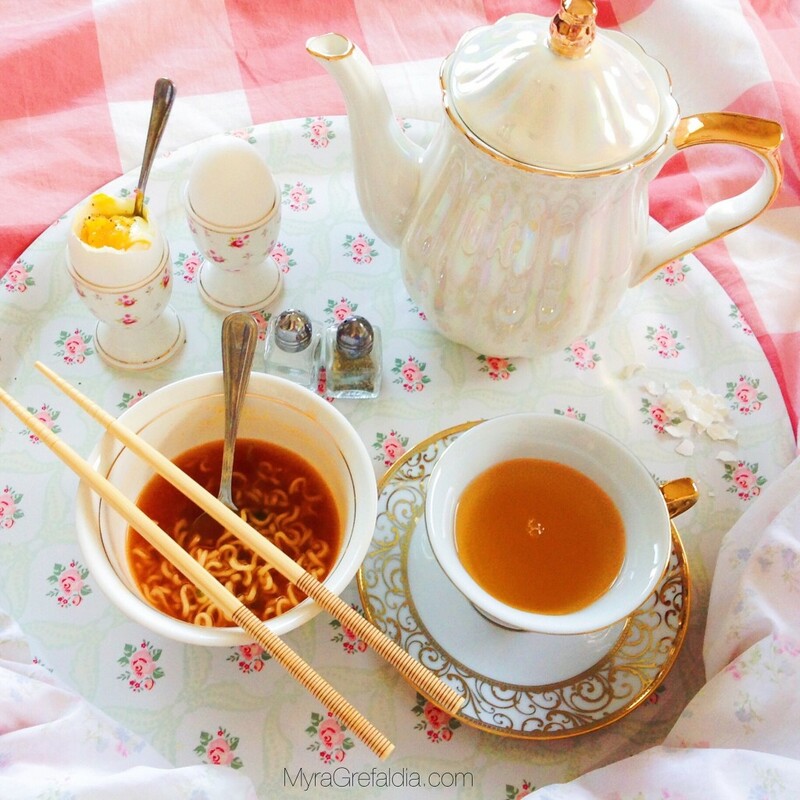 I just love the process of cute plating and beautiful tableware. 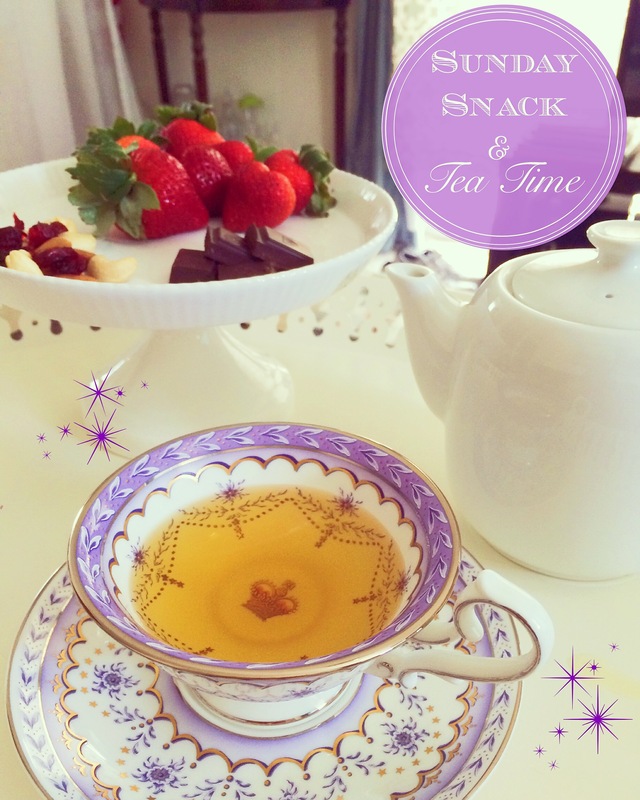 Let see how you can create your own afternoon tea time at home. Let me know how it goes.